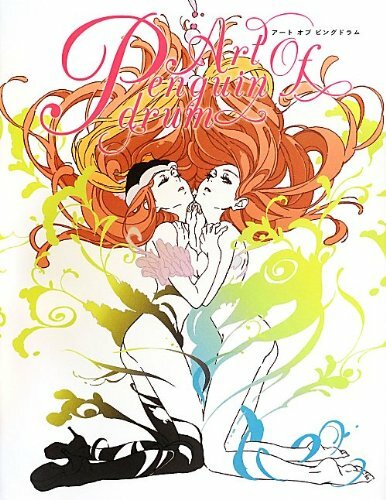 This is the other artbook that came out after Mawaru-Penguindrum Hoshino Lily Art Works. Both are for the Japanese anime series Mawaru Penguindrum. The earlier book focused on the characters, but this book focuses more on the setting. While you still have character illustrations, there are also storyboard sketches, environment art and interviews. There are quite a lot of storyboard art, both the uncoloured pencil layouts together with selected finished coloured version. Environment art panels are a bit too small though. Overall, the art is beautiful. I love the anime style drawing. The art seems to be from Akiko Nakamura (中村章子). A bit different from the character designer Lily Hoshino (星野 リリィ) . Great book. Even better than the earlier one because there are more pages and more artworks.